The Oslo agreement was signed in September 1993 as a starting point for a peace process between Israelis and Palestinians. According to the Gaza-Jericho accord that followed in May 1994, an agreement on the final status of the Palestinian occupied territories should have been reached 5 years after latest, i.e. by May 1999. Almost 20 years have passed since then, while the occupation and colonisation of the Palestinian territories has never ceased. The perspective for a two-states’ solution looks so gloomy that some voices have raised in order to question the possibility of such a solution to the conflict, and have put forward a one-state solution for the two people as a viable alternative. Prominent Israeli journalist Gideon Levy is one of them. What is his perspective on that? 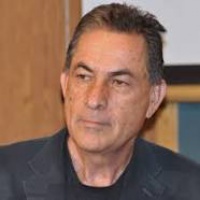 As a contributor to the Israeli Haaretz newspaper, Gideon Levy has a deep knowledge of Israeli-Palestinian politics. He will share with us his perspective and analysis about the future and the solution of the Israeli-Palestinian conflict. Entrance is free, but online registration is required. Take Entrance 13 (Pleinlaan 2, 1050 Brussels) to enter the campus (free accessible) and parking facilities. Press level 1 to go to the Esplanade where you can find Building B. Then take the stairs on your left side to go to aula D0.02. For more information about our campus click here.